Easter Bunny Four Fold Card: Enjoy Your Eggs! 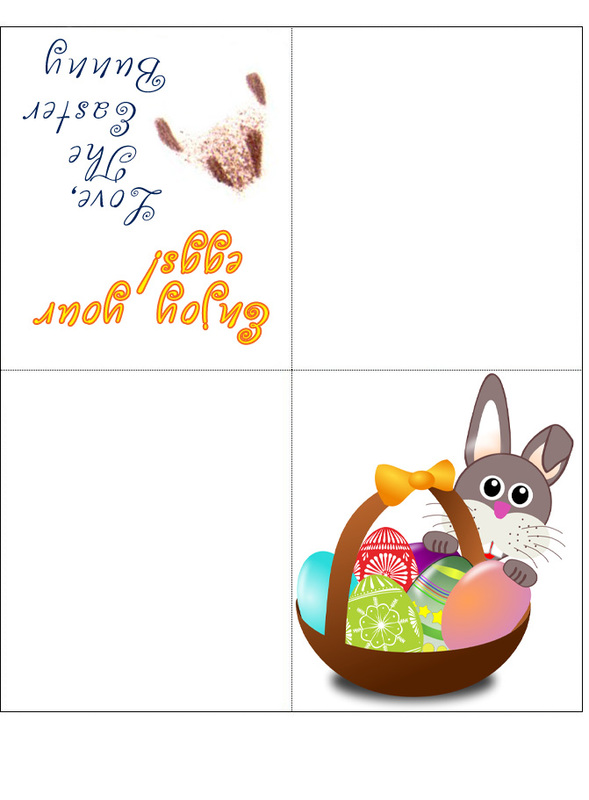 This printable four fold card from the Easter Bunny is to leave with a child’s Easter eggs, so that he or she finds it on Easter Morning. You might also like this matching resource – our Easter Bunny paw print envelope! Printing: There are many ways to print this resource, but we recommend right clicking over it and saving it to your computer. That way you can print it at your leisure.